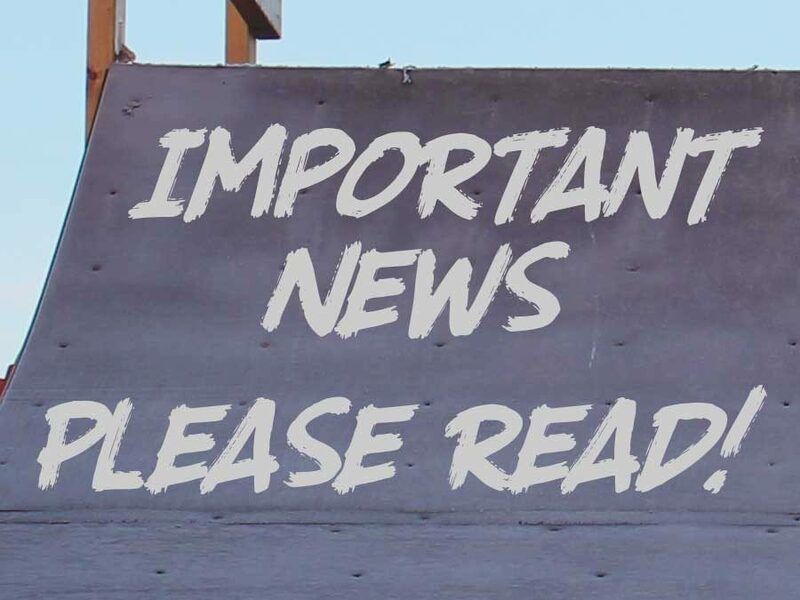 Our insurers are now insisting that all users of the Skatepark must have completed a contact and disclaimer form before using the park. This includes children under 16, whose parents must sign on their behalf. Forms are also available in the park or by post on request. Please get your form filled in, signed and back to us before Monday 22nd of April. Note: The details of anyone who has complete a 16+ disclaimer in the past year will be transferred to our new database – just check that we have your name when you are next in the park.